Where you can look at the sea:.. Since the beginning, my work has been keen on the idea of memory and, at the same time, of the topic of power. 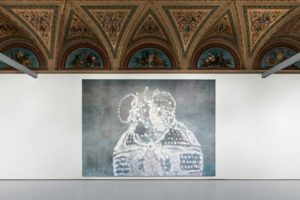 Through these two significant elements – memory and power – Luc Tuymans (Mortsel, Belgium, 1958), projects his entire artistic research, which is quite entirely unveiled, in his first solo-exhibition in Italy, hosted by Palazzo Grassi in Venice and curated by Caroline Bourgeois. The title is a continuation as a climax of his analysis in its most deep intimate meanings. “La Pelle” (The Skin), the title of the exhibition, takes inspiration from the same name of the book of Curzio Malaparte published in 1949. The plot takes place in a grotesque Naples occupied by Americans in the Second World War and metaphorically reflects the ambiguity between fiction and reality of Tuymans’s art. 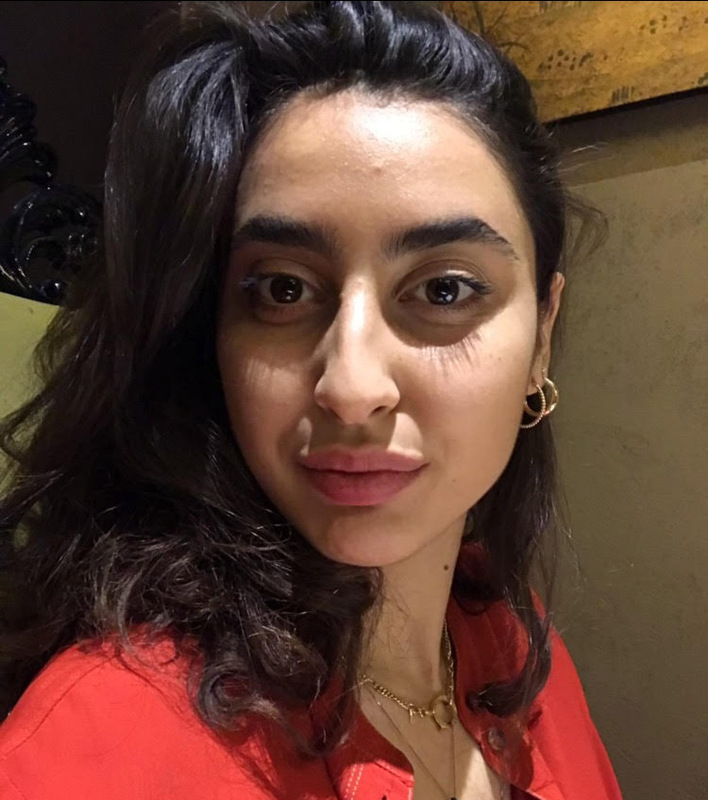 The city is torn and lacerated by the most terrible “revelations of horrors”, caused by the desperation of the war, the moral doubt and the loss of values. It is a story of similarity that takes place among the contrasts told in a fantastic hyper-realistic way, unveiling the tragedy that involves the winners and the defeats thought a nihilistic lyricism of anxiety. But where the Power has destroyed everything, Memory endures. The “Skin” (because of its anatomic meaning) becomes also a symbol of organic surface, as a living, sensual, strong, protective and provocative screen, which contains and hides the most important anatomic value. At the same time the canvas plays the same role of responsibility with the same depicting aim, because it protects and unveils a poetic content, which gives life to the painting with the presence of the observant, in the metaphysic limbo of the mere representation, interpretation and real story. The theoretical approach of Tuymans is structured by multi-level of processes, form the creative process related to the realization of an art work, the value of the analysis of the action and the subject depicted. He prefers “disturbing” and “unrepresentable” characteristics of a subject or of an element, loading them with a reticent, sculptural, adulated, depraved and ferocious violent painting method: he realizes the paintings in a solar day with fleeting, unusual and rushed brush strokes. 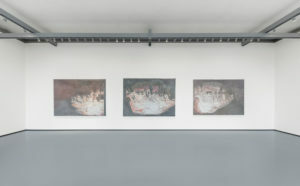 As a pioneer of the contemporary painting, Luc Tuymans in his artistic processes focuses on an anthropological analysis and for this reason his subjects become hypnotic symbols or fundamental details of a socio-cultural environment which is contemporary and belongs to a personal but also collective memory, re-elaborating the image and its meaning. 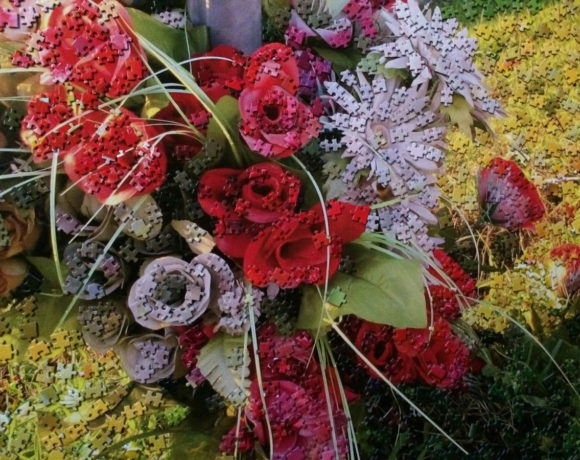 Crucial is the photographic element and the disorder that creates in the painting action because the main inspirations come from old Polaroid photos, pictures taken from old magazines or images from old movies. 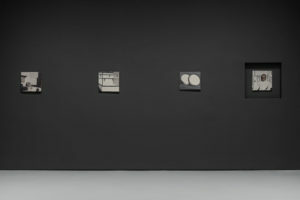 A détournement stands more deeply to the real and effective concept of creation, representation and interpretation: a “vacuum”, a “bug”, an “absence” is filled, according to Tuymans, by the sensitive elaboration and the memory of the observant, where we can find the real meaning of a painting. So Tuymans questions, what’s representation? Is it the simple reality or also a mental reality? Tuymans demolishes the split between sensitive reality and artificial reality through the concept that art doesn’t illustrate the reality, according to a non-objective vision of the subject but according to what that specific object evokes, in a perturbing, mysterious form. 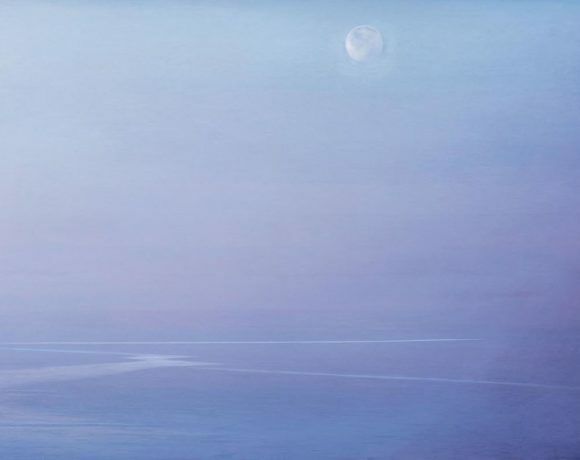 The image as fulcrum of Tuymans entire thought, symbolizes the perceptible “Limit” of the visible and cognitive sphere as the effective reality could become lie, disenchantment, secret. 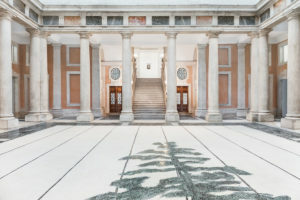 The first artwork, and the only site-specific one of the exhibitions, takes place emblematically in the atrium of Palazzo Grassi. The work represents a painting from 1986 inspired by the original drawing of a detained and survivor of the German concentration camp “Schwarzheide”, Alfred Kantor. The work is a real mosaic and depicts the wood circumscribed the camp in order to hide the atrocities. The choice to transform the painting into a mosaic on the floor induces also the spectator to reflect on the action of “stepping on”, in his case the subject is also a “horror memory”, creating also a feeling of repulsion. According to an ideal of “authentic falsification”, Tuymans reaches a link between his own personal path and the contextual one, that brought him to his representative methods. 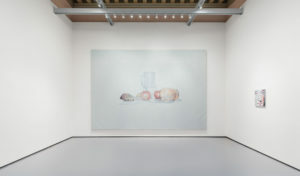 Rocked by a visual culture that came directly from the movies, television and press, Tuymans stands in an open relation and dialogue with the image. Polaroids photos, the brightness and the shadows of old-cult movies inspired also the current aesthetic imagine of Tuymans while he became more deeply interested and involved in the dynamic of continuous and incessant flow of digital images. Therefore he re-elaborates, he decapitates, he immobilizes imagines, as creation of himself, he feeds himself with them and at the end he suspiciously splits them. 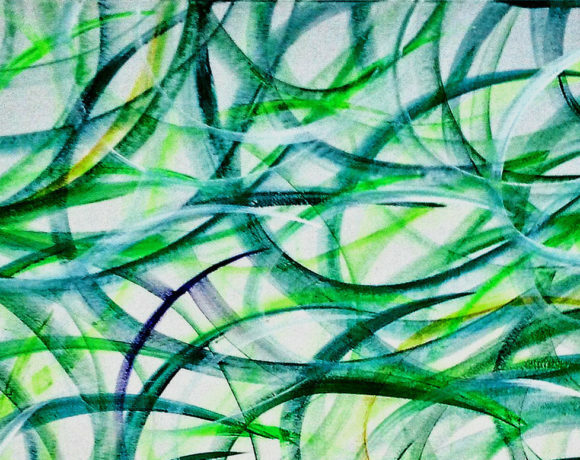 At the same time, if the digital imagine vanishes in the constant flow of multiple alike, Painting forces and involves into a more accurate and acute reflection, thought contemplation and decoding process. The concept “Aura” (as conceived by Walter Benjamin) linked to Tuyman’s art seems to continue, slightly damaged but not disappeared because the “Art work”, as the painting, represents and contain in itself a “different” value from the other simple reproduction. Luc Tuymans seems to have created and desired, through the exhibition, the feeling that the art-works are looking for “telling” and “being observed” while the observant is expected. In their predominantly monochrome tones laid down with primordial brush strokes with exception of delicate shades, the artist applies and descends visual narrative necessity of his subjects, with awareness and knowledge: the details are reading codes, mind’s epiphanies, screams of an old tragedy, the fear of the Pain, childhood memories of a masked man, a lived experience, a torment, a joy, a slogan. The visceral and mental obsession of the painter towards violence characterizes his whole art and himself, looking at violence and showing it thought a glacial-analyzing vision, cold and apathy. Simple contemplation toward the facts that happens in each life with the prospective of the darkest side of it, the craziest and mean of the human being. Therefore painter’s subjects are often conferred to the concept of “Unheimlich”, translated as “disturbing unfamiliarity”, a phenomenon for that a familiar, intimate, harmless, object or situation seems rolled up by a ghostly halo. “Technicolor” embodies perfectly this concept, because a bunch of flowers looses its sweetness due to this ghostly depiction, an ephemeral light burns the subject of “Candle” and “Sundown”, while “Body” is a de-realized body, without recognizable elements, sketched tone on tone. The intimate “Still life”, the “Clown”, the “Orchid”, animals , until the most influent character that influenced Tuymans’s life and partly the collective’s life as the famous killer and cannibal Issei Sagawa or as the representation from “Twenty Seventeen”, a famous dystopian television series, of a woman face caught in her impotent expression toward Death. 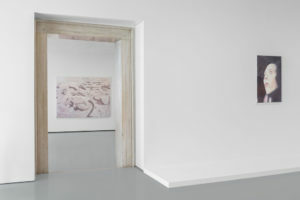 The whole artistic work of Luc Tuymans picks his value in a sort of anthropological action of his past which could be relevant and exchangeable with every human being, through the cathartic act of “re-experience”, with the painting, the Pain, in order to recognize and overcome it as a sort of “processing of mourning”.